The Elmore County Emergency Management Agency is hosting a “CERT Interest Meeting” to determine the number of Elmore County citizens interested in participating in a CERT training course. CERT (Community Emergency Response Team) is a FEMA program that educates volunteers about disaster preparedness related to hazards that may impact our area. The course trains individuals in basic disaster response skills such as fire safety, light search and rescue, team organization, and disaster medical operations. This course will be taught over a nine week period (one night per week) with the course instructors composed of emergency management staff and first responders. 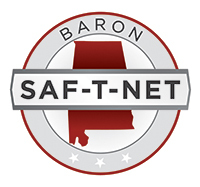 We invite all citizens who are interested in learning more about this course to come to the Wetumpka Civic Center, 410 S Main St., Wetumpka, AL 36092, on Monday, April 29, 2019 at 6:00 PM. Are you Ready? 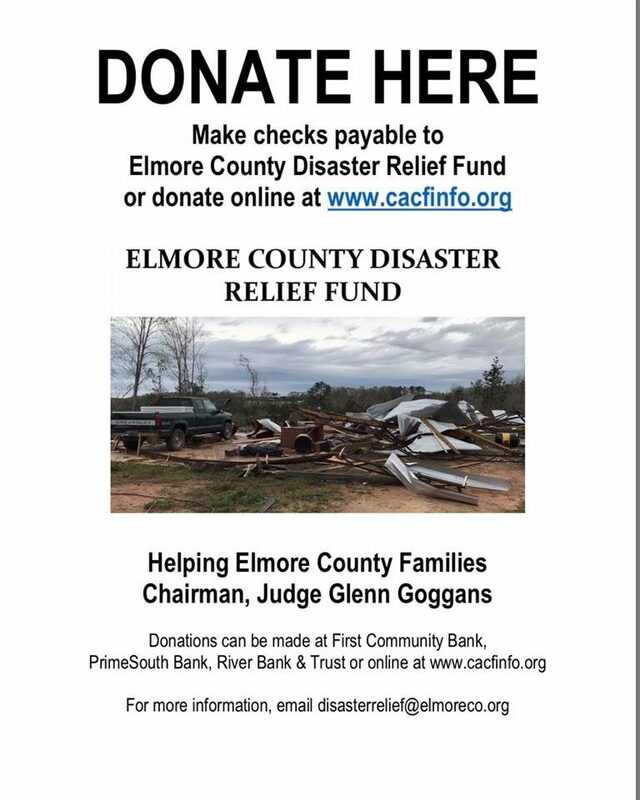 Elmore County! Report Suspicious Activity To Local Law Enforcement! Are you familiar with local hazards? Are you familiar with alert and warning systems? Do you know the correct protective actions to take for each hazard? 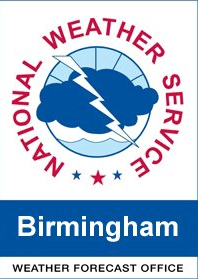 Do you believe preparedness steps can help in severe weather events? Do you believe preparedness steps can help in terrorist acts, hazmat incidents, disease outbreaks? Do you know how to prepare for emergencies and disasters? Did you know preparing is affordable and can be done on a budget? Have you participated in preparedness training/drills in the last two years? Do you have an emergency plan? Discussed it with your household? Can you name at least 3 supplies that go in emergency supplies kits? Do you have emergency supplies? Have supplies been updated/rotated in the last six months to a year? What does it take to Be Ready? Step 3: Build An Emergency Supplies Kit. Step 4: Practice Your Plan. 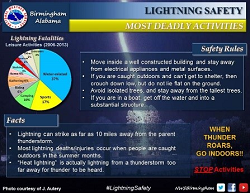 Lightning is a common occurrence across Alabama considering we have our fair share of thunderstorms in this part of the country. 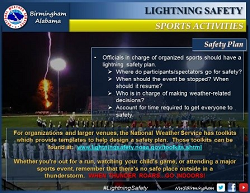 Although most lightning occurs in the summer, people can be struck at any time of year. Lightning kills an average of 49 people in the United States each year, and hundreds more are severely injured. There is no safe place outside when thunderstorms are in the area. If you hear thunder, you are likely within striking distance of the storm. 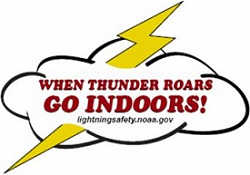 Just remember, When Thunder Roars, Go Indoors. Stay in safe shelter at least 30 minutes after you hear the last sound of thunder. NEW! Lightning safety slogan for the Deaf and Hard of Hearing community: See a Flash, Dash Inside! You can view the new PSA here. Not everyone can hear thunder, signaling that they need to take shelter. 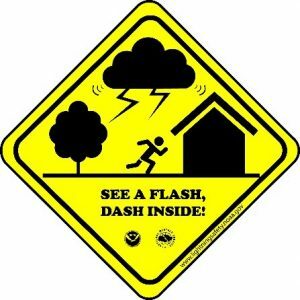 This lightning safety outreach initiative is meant to reach the Deaf and Hard of Hearing and give actionable advice to help this community be weather-ready!